In company I work for higher management often requires specific data delivered to their mailbox every morning. They are not interested in interaction, using filters and “playing” with data. They just want their predefined Excel ready when they will turn on PC. Of course great solutions like Qlik’s new acquisition: NPrinting exist to do such things, but there is a way to do it even with Qlikview Personal Edition. Let’s jump right into it! For the sake of this post I have created Scheduler folder on drive C: and new QlikView document called Scheduler.qvw inside this folder. 'If you want to see what Excel is doing (during testing phase for example), change it from false to true. 'In future posts I will show you how to select filters via macro. Now click the button and watch how XLSX file appears in folder described by vPath variable. Second task is to create macro, which will send previously exported excel file as an email attachment to chosen recipient. I will provide code for two scenarios. First – using exchange SMTP server and second – by simply using Gmail. You can copy both functions to Script Editor in QlikView and choose which one you want to use in final step. You can create one more button now and test if everything works as intended. Next step is adding a Trigger, which will run when document is opened. It will call our main GenerateMailReport procedure. To add it, go to Document Properties (Ctrl + Alt + D), Triggers tab. Select OnOpen from Document Event triggers and click Add Actions. Repeat same steps as we did previously for a button and add TriggerEmailSend macro. Save and close document. Let’s see what will happen when you will open it again. Nothing happened? Well – that’s expected. You do not want the macro to trigger if you will open qvw file to amend it. vExportReportFlag set to 0 is not allowing macro scripts execution. "C:\Program Files\QlikView\Qv.exe" /vvExportReportFlag=1 "C:\Scheduler\Email Scheduler.qvw"
What is this doing? It is really simple! Right, so we have everything. Last thing we need is to schedule when new XLS report will be generated and emailed. Windows Task Scheduler is an answer here. We will simply schedule, when server must open our little bat file. To open Windows Task Scheduler, click WIN + R and write taskschd.msc in Run command window. That’s it! I hope you enjoyed this little tutorial. If you have any questions feel free to email me or leave a comment below. Self-motivated, certified QlikView developer and designer, currently working as Business Intelligence workgroup manager at Harman - Connected Services division. 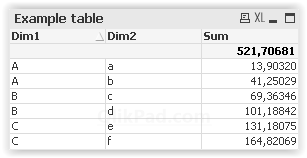 which create the variables with the values? When I click the button it opens the editor of macros. Thank you for you great explanation. The first marco works excellent and the new file is located in the required folder. but for some reason when I’m adding the rest of the macro (SendGMail) the macro isn’t working. ‘If you want to see what Excel is doing (during testing phase for example), change it from false to true. ‘In future posts I will show you how to select filters via macro. You must have valid Gmail account and set its login and password for this method to work. ‘objMail.Attachments.Add(“C:\Attachment\abc.jpg”) ‘Make sure attachment exists at given path. Then uncomment this line. Also worth noting that to avoid Macro warning popups which might interrupt automated sending, you can disable these messages under Settings -> User Preferences -> Security and un-check the ‘Confirm Launch from Macro’ box. Once this is done, the document-open trigger works well and proceeds normally. I am having some trouble with the gmail access. The table was created, but the actual send did not go through. I received an email regarding	Sign-in attempt prevented. Is there another setting I can use? Can the script be used to send to more than one receipient in the To: field? Or to another email address in the CC field? 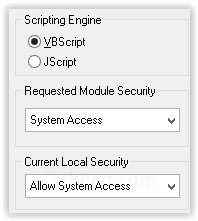 The generate script cleares all selections. Where should I edit the script to define some selections to be made before the generation of the report? You can add your custom selections after this line. I need are help, I known how to send one excel file, or how to export multiple object in one excel file with multiple sheet, but I don’t know how to send via email, specific sheet from one excel file.?? My qvestion, how to send specific sheet. If I have in one excel sheets: “Sheet1”, “Sheet2”, “Sheet3”, “Sheet4”, how to send just “Sheet3” to specific recipient, and “Sheet4” to other specific recipient, etc ?? I do not know any other way than generating a separate Excel file for each recipient. It can be automated using a loop for example. Thank you – Kakub. This is a very nice posting. I tried use your script on my project. Each component works fine but it don’t work use the combine one. On the other hand, how to schedule this app to send email out? Wish you all the best in 2017!